The ex-Dens Park boss will take charge of the Staggies’ under 20s team. Ross County have appointed former Dundee boss Barry Smith as their new under 20s coach. Smith has been out of work since being sacked by the Dens Park club in February. He spent part of the summer taking part in a Scottish FA course to gain his A licence. 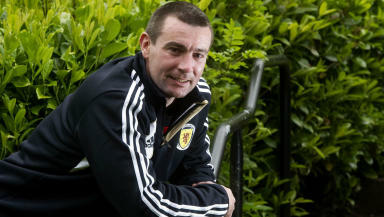 He will now oversee the Dingwall club’s youngsters as well as working alongside Derek Adams. County finished second bottom of the SPL under 20s table last term, four points ahead of Dundee. Adams told the club’s official website: "Barry will be a great addition to our back room staff. He is thoroughly looking forward to starting work with us today. “He will assist with the development of our U20 team who are now in their second year at the football club."